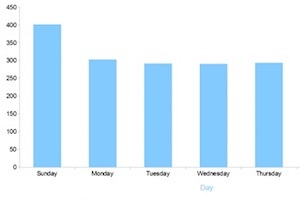 Which Types of Facebook Brand Posts Get the Most Engagement? 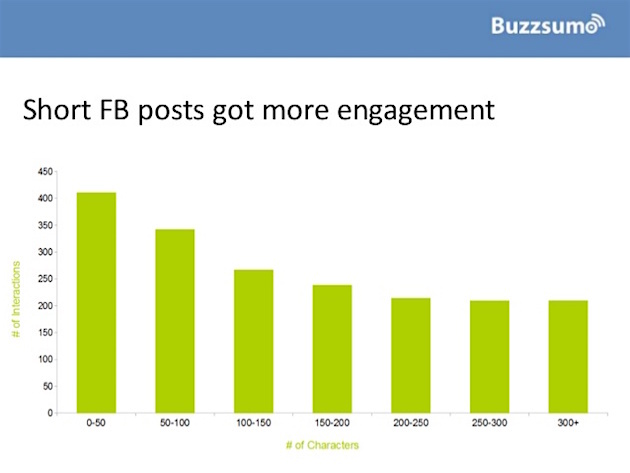 Do shorter or longer Facebook posts get more Likes, comments, and shares? Is it better to embed videos directly on the social network or use YouTube links? 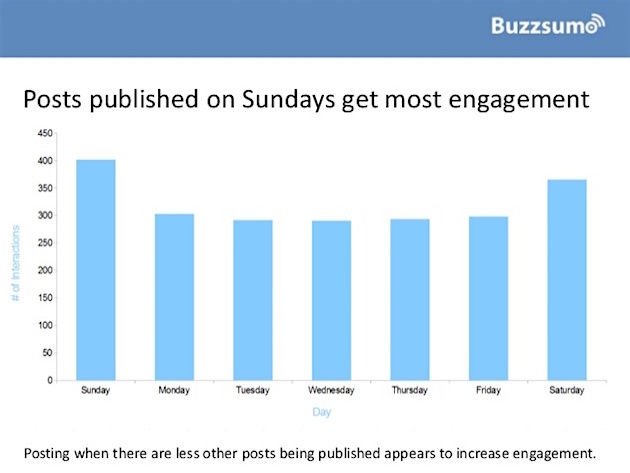 What days and times see the highest engagement rates? To find out, Buzzsumo analyzed more than 1 billion posts published in January 2016 by 3 million brands located all over the world, including small businesses and giant corporations, such as Nike. 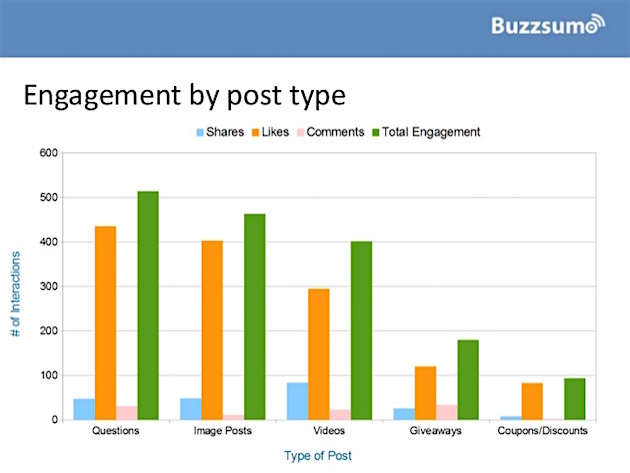 Image posts and those that ask questions get the most engagement (shares, Likes, comments) overall, the analysis found. Short posts of fewer than 50 characters get the most engagement of any text post type, the researchers found, indicating that many Facebook users see the platform as a discovery tool and/or a space to react in, rather than as a place to directly read in-depth pieces, according to Buzzsumo. Although consumers seem to prefer that posts from brands be short, they’re open to engaging with longer content off-platform: Posts that link from Facebook to pieces over over 1,000 words get the most engagement of any article type. As for visual content, images posted via Instagram get 23% more engagement than those posted directly to Facebook. 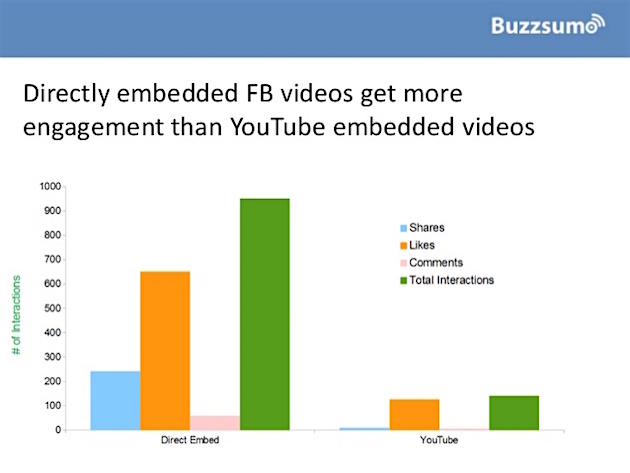 In contrast, videos posted directly to Facebook get much more engagement than YouTube embeds. 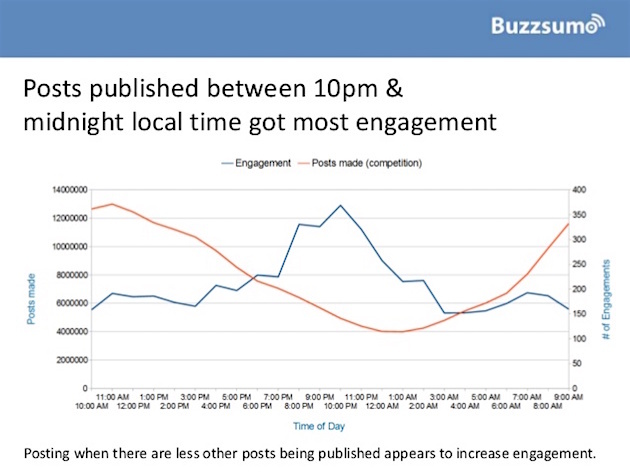 The days and times with the highest engagement rates are late evenings (10 PM to midnight local time) and Sundays, indicating that marketers see the biggest payoff when there is less competition from other brands on Facebook, according to Buzzsumo. About the research: The report was based on an analysis of more than 1 billion posts published in January 2016 by 3 million brands located all over the world, including small businesses and giant corporations, such as Nike.